Ultimate Edge has a rating of 4.5 stars based on 4 reviews. The #1 self-improvement system, Ultimate Edge, will help you discover what you want most in life, then give you the proven tools and strategies to achieve it. With this three-part program, you will learn to overcome any obstacles holding you back, and truly take charge of your own psychology. Improve your health, master your finances and deepen your relationships in ways you never thought possible. "Decide what's most important to you, use your personal power to follow through and change the quality of your life." Exclusive video footage of Tony. Why do certain people succeed while others fail? What is the key to a life of achievement and fulfillment? Tony Robbins asked himself those questions over 40 years ago when he began his journey towards life mastery – and after studying the world’s happiest and most successful people, he found it. The answer is now available to you, Ultimate Edge. We all want to improve, but most of us don’t have a clue where, or how, to begin. 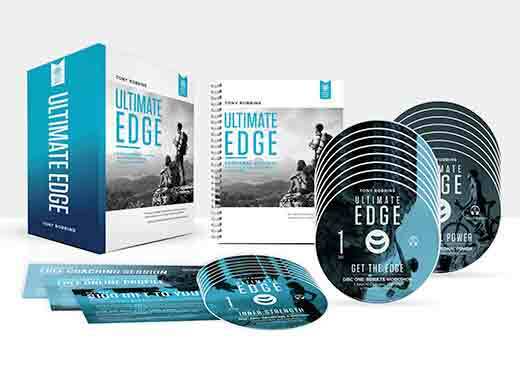 Ultimate Edge contains concrete, easy-to-use tools to break through barriers and create the results you desire. In this powerful program, Tony will guide you to uncover what you truly want – and how to achieve it. Best of all, it happens in N.E.T., or, “No Extra Time.” Learn, grow, expand and improve while driving to work, exercising or on your lunch break. Take control of your own psychology as you destroy your negative thoughts and turn them into powerful forces that fuel your success. Don’t allow your life to be anything less than extraordinary. Say yes to your risk-free opportunity and begin your journey today! In three sessions, understand what causes you to think, feel and behave the way you do. After you discover your “personal blueprint,” you’ll then align your internal drive and know how to move in the right direction. Over seven days, gain a clear and compelling vision for what you want. You’ll learn about the forces that direct our lives, how to master them and get the keys to shaping your destiny. Now that you’ve defined your goal, it’s time to develop a plan to achieve it. Discover how high-quality relationships add value to your life and how to build the one you need. Create a life of limitless energy and vitality. Transform your destructive, negative emotions into positive, constructive ones. This 7-day program will teach you the strategies to transform every area of your life. Now I know why it's called The Ultimate Edge! The Ultimate Edge gives me more clarity of my life. I learn and practice the life-long strategies for success. It works for me and the people I work with. Thank Tony Robbins and The Team. Don’t have a CD player? Want flexibility and access to the program, at all times? 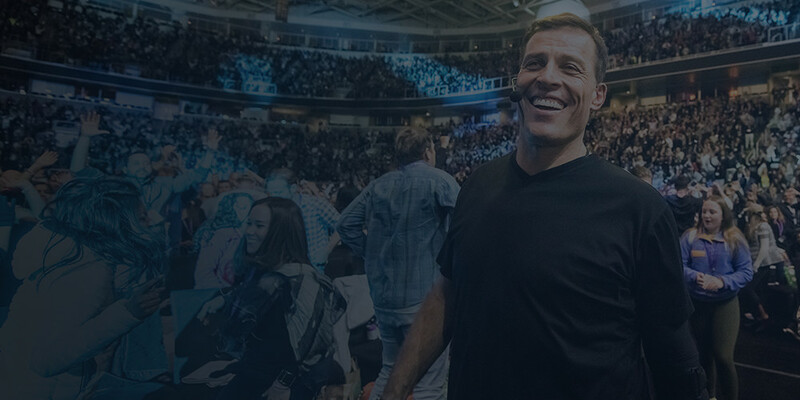 With Ultimate Edge on the Breakthrough app, you will be able to access all 11+ hours of Tony Robbins audio content, on the go, through a mobile application. Fumbling with your mobile apps? Do you prefer listening to CDs? If yes, this is the version for YOU! Imagine inserting your Ultimate Edge CD, pressing play and finding your inner strength so you can start to truly live the rest of your life! Moreover, the audio quality is great. 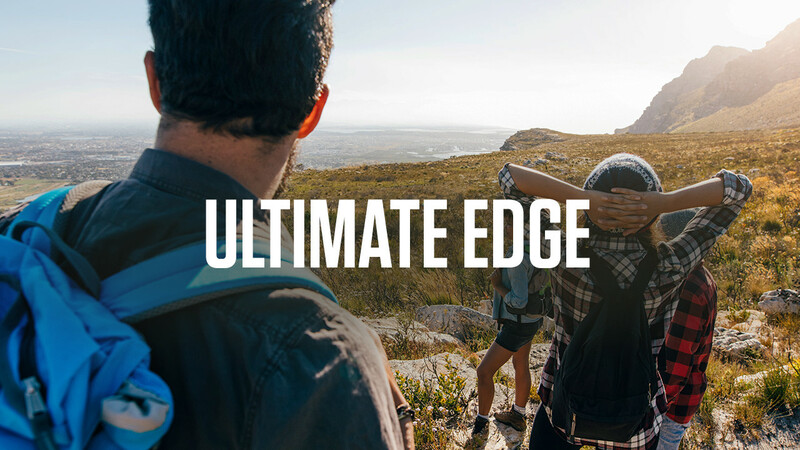 After purchasing Ultimate Edge, you will receive an email with your access information. In the email, you will receive a link to download the mobile application, Breakthrough. The app is available in the Apple App Store and Google Play Store. In addition, you’ll receive access to all the resources for the program, within the welcome email. Already have the app? No problem, simply refresh your product list or sign-out and log back in to gain access to your newly purchased product! 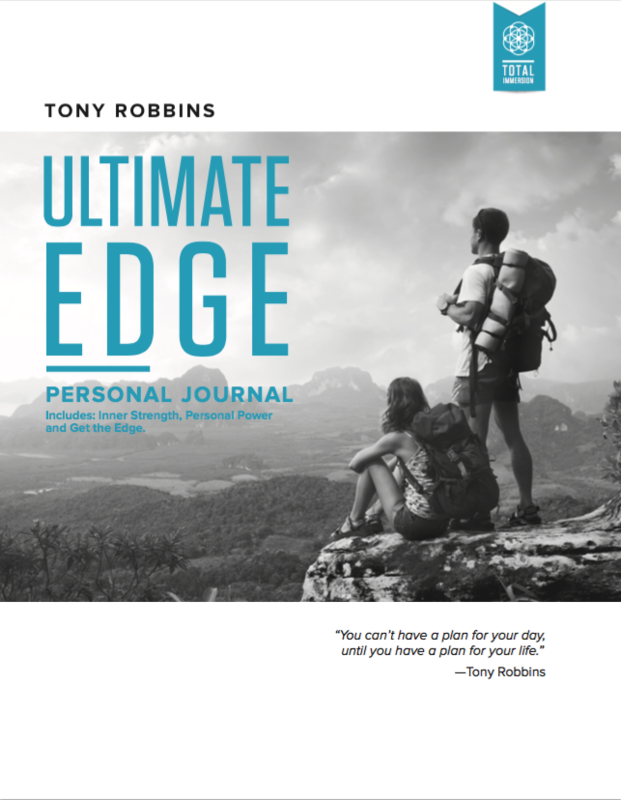 Ultimate Edge will arrive in a box that contains, your CD and DVD program, bonus content and personal journal.